Movement of goods in the supply chain system from point of manufacturing to its point of consumption is not always straightforward as sometimes there are less links between the two points of origin and destination or the links are more complicated. However, the goods need to be moved for the supply chain system to drive smoothly. In order to solve the transport complexity of complicated logistics system, different modes of transport must be used. Using several modes of transport (minimum two) in a particular trade contract is known as Multimodal transport or combined transport. Combining different modes of transport in one single contract would facilitate the flow of goods in the supply chain system when there are complications or limited accessibility for one sole mode. This means the goods will be moved faster and smoother and safer from its production point through to its consumption place. 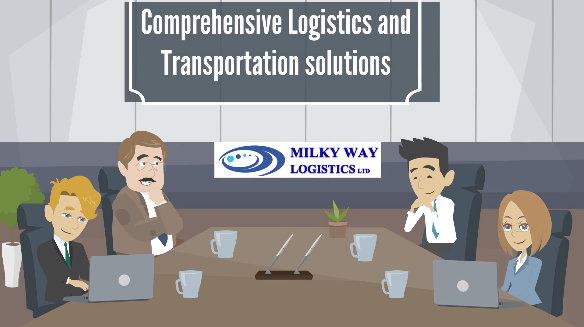 It is the responsibility and expertise of a logistics professional, to decide on the most productive, cost effective and energy/labour/fuel saving combination of transport modes to design the best Multimodal transport solution. In Multimodal transport, the sole responsibility of the entire shipment is on one carrier or transport operator who will liaise among different operators and there are commonly one contract for the entire movement of cargo but the main carrier might have his own sub-contracts with each transport mode operator. Having one main carrier for the entire shipment benefits from economies of scale and as such it would be much more cost and resource effective. The main carrier in a Multimodal transport contract might be a freight forwarder who liaise among all transport mode operators.